Which Gemstones Are the Most Valuable? Gemstones are composed of a variety of minerals, rocks, and organic material. 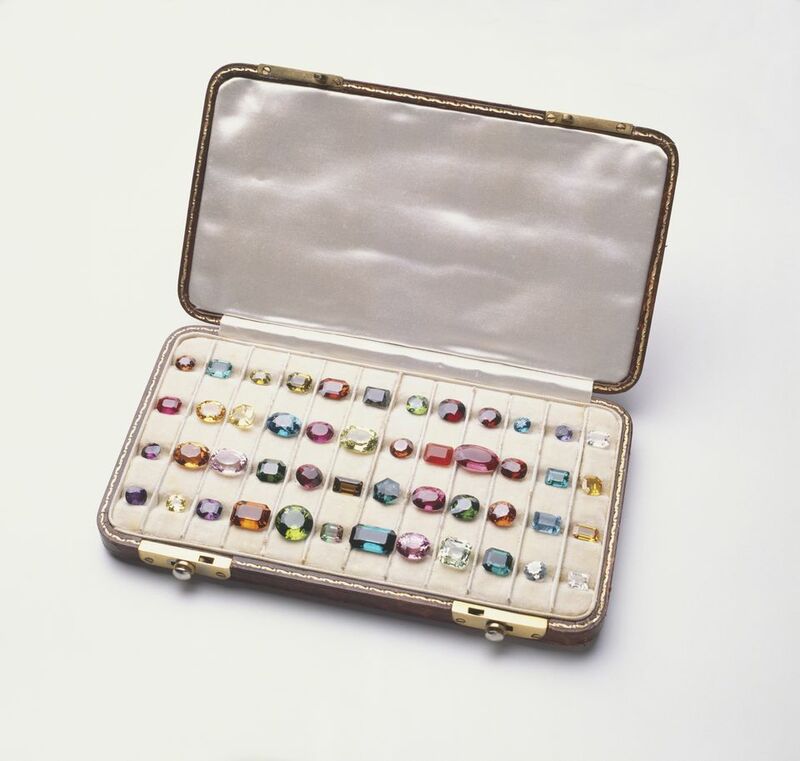 With over 300 gemstones currently documented, there are bound to be some that are significantly more rare and valuable than the iconic diamond. A handful of the most valuable gemstones in the world are crystals that we will likely never see in person. These stones are highly sought after by museums and collectors. Other valuable gemstones are attainable with the right amount of money. This list includes 10 rare and valuable gemstones, along with origin information, buying tips, and more. Unlike most gemstones that have a variety of locales, this relatively new stone has only been found in Northern Tanzania. The first gemstone was discovered by Masai tribesman Ali Juuyawatu in 1967. Tanzanite is a blue gem-quality variety of zoisite and is one of the official birthstones of December. Experts predict that the tanzanite supply could be depleted within the next 20 to 30 years, making this stone significantly more rare than diamonds. Tanzanite ranks 6-7 on the Mohs Scale of Hardness so it is durable enough for everyday wear. The most prized color is a pure blue that is almost indistinguishable from blue sapphire. Most tanzanite owes its color intensity to heat treatment. In order to maximize color potential, seek stones 5 carats or greater. The average price per carat is $1,200 for high-quality stones. Taaffeite is a rare gemstone that most people have never heard of due in large part to how rare it is. The light violet gemstone was discovered in 1945 by Australian gemologist Richard Taaffe. Prior to his discovery, taaffeite was considered spinel. Spinel does not refract light in the same way this gemstone does. Taaffe's observation marks the first gemstone that was discovered as a faceted gemstone and not as gemstone rough. Taaffeite has only been found in Sri Lanka and Tanzania. Most material is not suitable for faceting, making it even more difficult to source. The gemstone is so scarce, it is considered over 1 million times more rare than a diamond. If you want the look of taaffeite but don't want to pay for a collector's item, consider purchasing well-cut versions of amethyst in a lilac color. Though amethyst isn't as brilliant, the color is very comparable. If you're willing to spend some time searching, you can get a very remarkable and rare taaffeite gemstone. It may be worth considering since the stone ranks 8-8.5 on the Mohs Scale of Hardness, making it more durable than amethyst. The Average price per carat is $2,500 per carat. Demantoid is a remarkable green variety of andradite garnet that was discovered in the mid-1800s in Russia. Though other types of warm-toned garnet are considered common and inexpensive, demantoid garnet is among the rarest and most valuable from that gem family. You will have a hard time finding a demantoid garnet larger than 2 carats since most crystals are smaller in size. One great aspect about demantoid garnets is they are rarely treated, which is unlike many other gemstones on the market. Demantoid garnet is between 6.5-7.5 on the Mohs Scale of Hardness so the stone is durable for everyday wear with proper care. Since this variety of garnet is rarely found in large sizes, your best bet is to seek a stone between .5 and .75 carats. Be sure it is cut well to show off the stone's natural brilliance. The average price per carat is $3,300 for high-quality natural stones. Black opal is the rarest and most popular type of opal. It is also considered among the rarest of all gemstones. Almost all the world's supply of black opal is mined in Lightning Ridge in New South Wales, Australia. The main characteristic that will differentiate black opal from common opal is its body tone. Though black opals can come in many colors, their overall composition is on the darker end of the spectrum. There are synthetic black opals and treatments on the market that are difficult to identify without the help of a lab. Be sure to buy black opal from a reputable dealer. The average price per carat is greater than $3,500 for fine-quality stones. Most everyday jewelry lovers will never be able to see the true beauty of benitoite. This sapphire-blue gemstone has only been found in San Benito County, California. It was first discovered in the early 1900s by George D. Louderback. It became the official gemstone of California in 1985. The stone has been misidentified as spinel in the past, but was eventually re-examined and reclassified due to the high level of brilliance of the gemstone. You'll have to do some due diligence to find a trustworthy and legitimate source to purchase benitoite. When you do, be prepared to spend. You'll want to find a stone that has a medium body tone with a cut that maximizes the stone's fire. Stones that are too dark will not reflect the light well. Stones that are too light will look washed out. Don't expect to find stones greater than 3 carats. The average price is $3,800 per carat for stones with medium blue tones. Smaller stones that are less than 1 carat can reduce the price per carat significantly. Padparadscaha (pronounced pad-pah-raj-ah) sapphires are extremely rare and found mostly in Sri Lanka as well as parts of Madagascar and Tanzania. The unique combination of pink and orange hues make this stone one of the most sought after by collectors. The gemstone comes in a variety of shades, but medium tones seem to be the most favorable and attractive. Since Padparadscha sapphires are so rare, buyers may find themselves needing to compromise when making their purchase. This may mean opting for a stone with less clarity and a duller color or choosing a stone that is smaller in size. Shapes can often be unusual and varied because gem cutters try their best to maximize carat weight. This is due in large part to the rarity and demand factor for this stone. Don't expect to find these sapphires over 2 carats without paying a premium. ​The average price per carat is $8,000 for high-quality gems. Red beryl is an extremely rare variety of beryl that has only been found in Utah and New Mexico. It was first discovered by Maynard Bixby in 1904. Despite being found in two locales, gem-quality red beryl has only been mined in Utah. Coined by some as the red emerald, this rare gem is very difficult to find due to the unique conditions required for this stone to form. Red beryl is not a variety of emerald but rather an entirely different gemstone with its own classifications. Much like emeralds, red beryl often has inclusions present, but they don't necessarily impact the gemstone's overall value. Beware that synthetic red beryl has been produced. If you come across a high-quality red beryl stone with excellent clarity and a lot of carat weight, you're likely dealing with a synthetic. Large red beryl specimens are so rare that they often remain uncut and sold to collectors as specimens. Most cut red beryl stones weigh under 1 carat. ​The average price per carat is $10,000 per carat for high-quality material. The official birthstone of June's color-changing ability is enchanting. Alexandrite is green in sunlight and red in incandescent light, making it one of the few color changing gemstones on the market. The stone was discovered in 1830 in the Ural mountains of Russia, which is also home to other unusual minerals. The stone was subsequently named after Czar Alexander II. Smaller varieties of alexandrite have been mined in Sri Lanka, Brazil, and Asia, but fine alexandrite specimens are still very rare and costly. If you've uncovered an heirloom alexandrite gem that is large in scale and has excellent clarity, you're likely dealing with a synthetic. These stones are often blue and purple vs. green and red and are actually synthetic corundum. The average price per carat can be $12,000 per carat. Jadeite ranks near the top of a list of one of the most valuable gemstones in the world. This gemstone is jade's most expensive, most beautiful variety. Since this deep green translucent gem is significantly rarer than other types of jade, it is worth much more. If you want the look of jadeite but can't afford the price tag, consider shopping for the less expensive version, nephrite or the jade dupe, aventurine. Jadeite value is based on the level of transparency and depth of color. Some very fine pieces have even sold for over $1 million per carat. Most jadeite on the market will sell for significantly less. An average price per carat is $20,000 per carat for high-quality material. Musgravite was discovered in 1967 and is arguably the rarest gemstone in the world. It was first discovered in Musgrave Ranges, Australia, and later found in Madagascar and Greenland. The first sizable gem-quality specimen was discovered in 1993. As far as gem-quality stones, there are about ten specimens known and documented. Unfortunately, due to the rare nature of this stone, it's unlikely a consumer would come across this stone on the open market. If you do come across suspected musgravite, submit it to a gemology lab for testing due to the crossover between this gemstone and the less rare taaffeite gemstone. The average price per carat is $35,000 per carat based on specimens already sold.